Why Rent a Limo in the Winter? 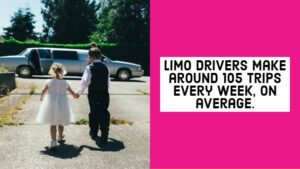 - American Limousines, Inc.
Why Rent a Limo in the Winter? Because a lot of formal events take place when during the spring and summer months, you might think about renting a limo only during May, June, or July. But those actually aren’t the only times of year when a limo rental comes in handy. In fact, it may be highly beneficial for you to consider opting for a limo as your ground transportation when the weather gets cold. Here are some excellent reasons to rent a limo during the wintertime. Why Rent a Limo in Winter? You can avoid dangerous road conditions: Limousines are considered to be the peak of luxury, yet they’re also extremely practical and safe. Because limo drivers make around 105 trips every week, on average, and are so experienced in navigating the roads, they can present a welcome alternative to dealing with inclement road conditions yourself. They won’t ever take unnecessary risks, so you can rest assured that you’ll arrive to your destination safely. You also won’t have to stress about being late, since drivers for limo services will take care to check for traffic jams, road closures, and accidents ahead of time. No more driving white-knuckled — you’ll actually be able to relax and enjoy the ride, even if the weather isn’t cooperating. You’ll stay warm and cozy: When the temperatures drop, the last thing you’ll want to experience is an ice cold car first thing in the morning or a frigid walk from the parking garage to the office. Luckily, that won’t be your reality when you opt for more luxurious ground transportation. When you’re picked up, the car will already be at its ideal temperature. That means no more sitting around in the cold, waiting for the heat to kick on. And because you’ll be dropped off right at the door, you won’t have to make the long walk from your parking spot to the entrance. Not only will this mean you’re more comfortable, but it can even ensure you don’t slip on icy patches or fall into a snow bank on your way in. You’ll be calm and collected (but not cold) when you rent a limo. 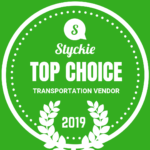 You’ll alleviate car troubles: Unfortunately, your own resource for ground transportation (e.g., your personal vehicle) may be prone to problems during the wintertime. Those freezing cold mornings can do a number on your car’s battery, particularly if you have to park on the street. There’s nothing worse than turning your key in the ignition and realizing that it’s not turning over — and you’re already running late for an important meeting or a business flight. Even having to brush the snow off your car can be a real hassle; it can eat up precious time and make you look less-than professional when you finally make it to your destination. But renting a limo will eliminate your need to bother with your vehicle when you’re on a time crunch or when you need to get somewhere special. When you’re in need of reliable and stylish ground transportation in the winter, it simply makes sense to rent a limo. Whether you’re heading to the office or are having a night out on the town, your limo service will safely deliver you to your destination in comfort and luxury.